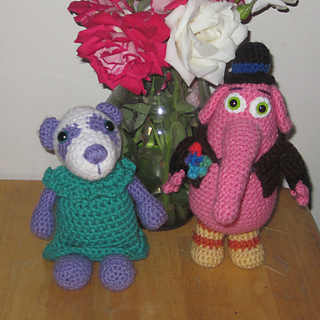 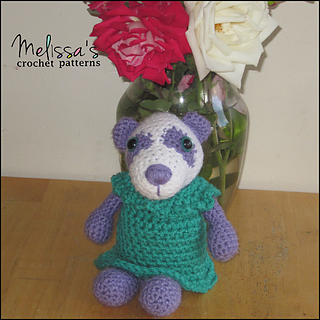 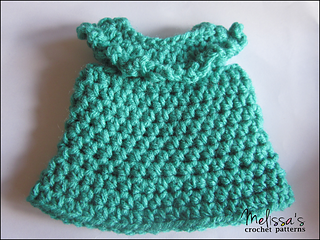 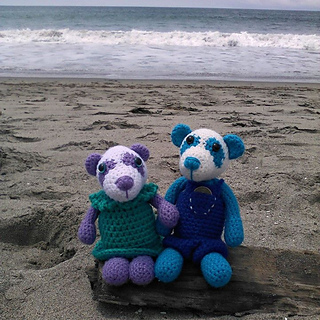 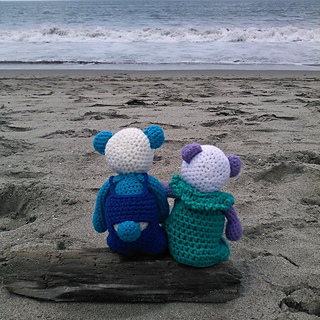 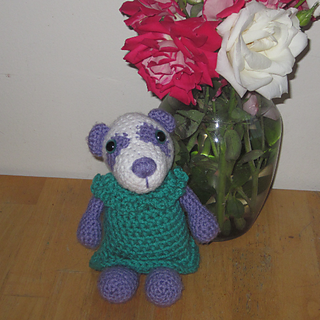 This dress is designed for Precious the Purple Panda - which is also a free crochet pattern. 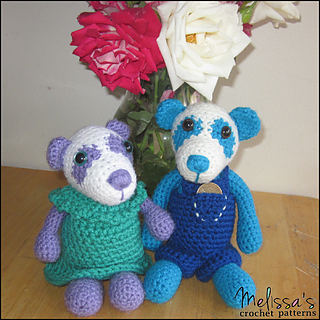 You can find the first Precious Pandas Dress HERE, the second dress HERE, and the overalls HERE. 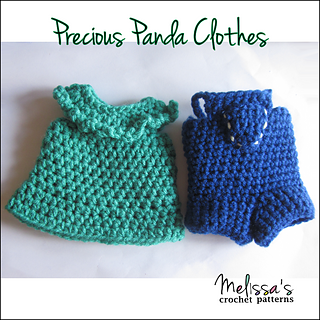 This dress will also fit Pugsley the Pug Puppy, Roger the Raccoon, Mister the Tabby Cat, and the rest of the precious animals.